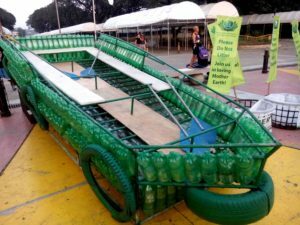 The first Philippine Zero Waste Fair took off on January 22, in Quezon Memorial Circle, Quezon City. 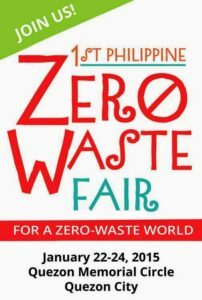 Organized by EcoWaste Coalition, Global Alliance for Incinerator Alternatives, Mother Earth Foundation, and Health Care Without Harm, the Zero Waste Fair was an excellent opportunity to learn more about zero waste initiatives, lifestyle, municipalities and organizations. 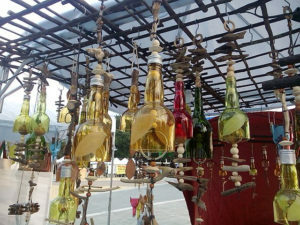 The Zero Waste (ZW) fair, celebrated in the context of the Zero Waste Month proclaimed by President Benigno Aquino III, was the first ever exhibition on waste, workshops on and trading of discards, and exchange of ideas and practices on waste in ways and forms that were accessible to everyone. Its aim was to multiply the pursuers of zero waste, and grow the benefits exponentially! 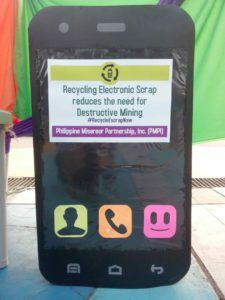 The workshops on recycling, composting, repurposing, and the proper handling of electronic waste were one key activity in the Fair. Most importantly, it was a gathering of people who wanted to learn from each other. 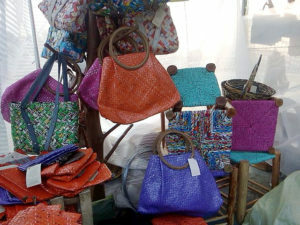 The diverse booths showcasing products made from recycled materials were particularly inspiring. Junk Not shared her stories of how most of plastic reused for her creations was found in a scrapyard and was going to be burnt. All her products were effectively (and beautifully) diverted from landfills and incinerators. People could walk around exhibits; listen, discuss with others; participate in checking out propositions; even repair or repurpose their discards right on the fair site; and engage and trade online and carry it forward during the fair. Interestingly, the ZW Fair counted with the participation of an international delegation of ‘zero-wasters’ that presented a perspective of Zero Waste experiences around the world. Nalini Shenkar from Hasiru Dala in Bangalore introduced the audience to the experience of organizing a cooperative of grassroots recyclers, which has involved the creation of 500 jobs in 2 years. Shibu K Nair from the Kerala-based organization Thanal talked about Zero Waste Himalayas, a network of more than 30 groups created in 2010 that promotes better resource use and recovery practices in the region of the Himalayas, particularly strategic since it holds the source of water for half of humanity in the planet. From the Global North, Monica Wilson, Recycler of the Year 2012 and GAIA‘s US and Canada Coordinator, explained the specific steps in the implementation of the Zero Waste program in San Francisco, a city that has been continually reducing its waste generation and it’s committed to a zero waste goal by 2020. Similarly, Mariel Vilella Zero Waste Europe’s Associate Director, introduced some of the European zero waste best practices. 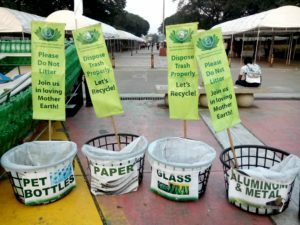 These experiences reinforced a zero waste vision for Philippines, where the debate around waste management is currently hot and contentious. 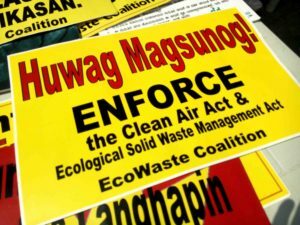 The National Solid Waste Management Commission is a designated group by the government to assess new waste management technologies and revise the Clean Air Act and the Ecological Solid Waste Act, which could potentially lower the current targets for air pollution and allow incinerators back in the country. The incinerator moratoria in Philippines has been a world-wide example to ensure a toxic-free environment, and its eventual cancellation is seen as a global threat. Later in the week, Zero Waste Europe’s Mariel Vilella and Dr.Jorge Emmanuel called for the protection of this legislation and the pursuing of ZW goals in the Philippines. Precisely, the Zero Waste Fair showed several municipalities that are already taking steps towards implementing zero waste programs. 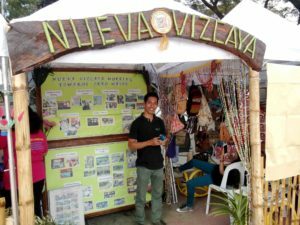 Nueva Vizcaya was one of the highlighted places that is actively working towards zero waste goals, with several initiatives on education, training, livelihoods, and planning. Moreover, Mother Earth Foundation organized a visit to the local Barangay of Fort Bonifacio, Taguig (the native Filipino term to refer to the smallest administrative division in the Philippines, ie. a village, district or ward) that has transformed a former illegal landfill into a Materials Recovery Facility (MRF), along with a source separation system that has currently reached 95% compliance. The separate collection scheme and management of materials in the MRF has formalized the work of 12 waste pickers and 5 MRF staff members, with a considerable raise in their monthly earnings and livelihood stability. As a closing event, the Zero Waste Fair gave the Zero Waste Awards, as a salute to ZW heroes and pioneers, and a celebration of how far we’ve come on the road to Zero Waste.